Children with autism incur trauma and have increased vulnerabilities for experiencing trauma. 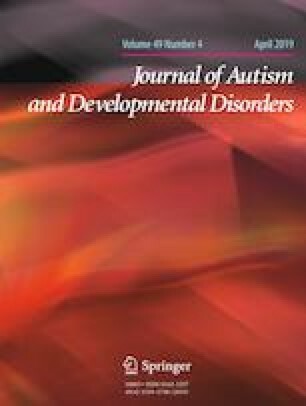 This paper summarizes the current literature in the study of trauma in typically developing children and those with autism. A treatment model for children with autism, drawing on components from cognitive behavior therapy (CBT), trauma-focused CBT, and CBT to teach emotion regulation and treat anxiety in children with autism is suggested. Components include: (a) Functional Behavior Assessment; (b) behavior plans and behavioral skills training; (c) teaching emotion regulation; (d) exposure therapy; (e) cognitive restructuring; (f) parent and child support between sessions; (g) safety plan; and (h) programming for generalization and maintenance. Future research should establish evidence-based treatment of trauma in this population by evaluating the modified treatment package. AS conceived of this manuscript, completed a literature review, developed the modified treatment design for a trauma intervention for children with ASD, created the figures, and drafted the manuscript. JL helped draft the manuscript, helped guide the literature review, helped with the design of a treatment model for trauma in children with ASD, and revised figures. All authors read and approved the final manuscript.